On March 17 1994, the music video for I’ll Remember (Theme From With Honors) premiered on BBC1-TV’s Top Of The Pops in the UK. I’ll Remember began as a collaboration between Richard Page (of 80’s band Mister Mister) and Patrick Leonard. Leonard had been asked by Madonna to score Alek Keshishian’s film With Honors, and had also been collaborating with Page on an upcoming Toy Matinee album. When Leonard played an early demo of I’ll Remember for Madonna, she loved it and decided to record it with new lyrics she had written. 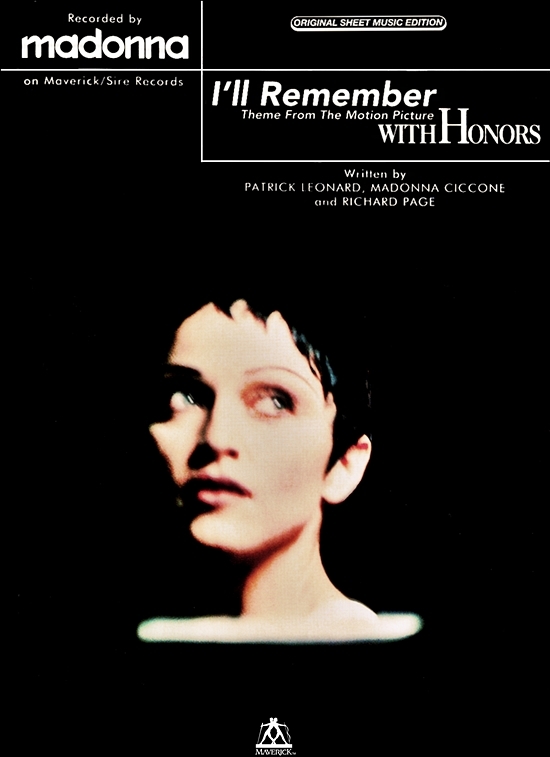 The song was produced by Madonna & Patrick Leonard, with Page providing additional backing vocals. 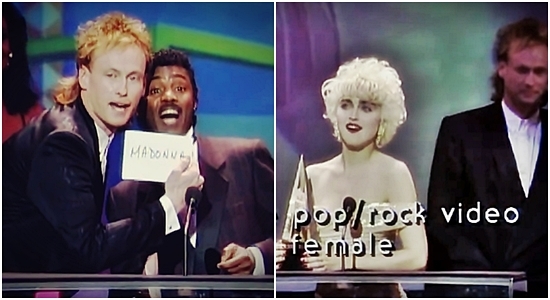 Madonna had previously crossed paths with Richard Page when he presented her with a trophy at the 1987 American Music Awards (pictured above). Like the song cried, Madonna Louise Ciccone has never been afraid to cry-in her joy and sadness, she thanks all of us-the whole world for such a fun and fulfilling life. Our lives are therefore touched by a woman with a Rebel Heart. In ballad Ill Remember, Madonna’s the one who deserves the awards for the roles she has played. We all get the awards for the joy and love Madonna has given the world! Love you Madonna!